26 Apr : In a major relief for former Punjab CM Amarinder Singh, a Constitution bench of the Supreme Court on Monday quashed his expulsion from the state Assembly for his alleged involvement in the Amritsar land allotment scam. A bench headed by Chief Justice K.G. Balakrishnan held that the state Assembly had no power to expel Singh and others for what was their executive action. 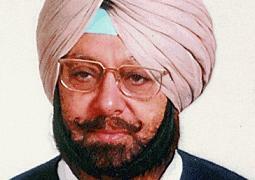 The court also restored the seat of Singh which was declared vacant by the Assembly consequent to his expulsion. The apex court said the appropriate remedy was to set the criminal law in motion as there was no breach of privilege of the Assembly for invoking its power under Article 194(3) of the Constitution. The bench also comprising R V Raveendran, P Sathasivam, J M Panchal and R M Lodha said the Assembly had acted erroneously as the alleged act of irregularities was committed during the 12th Assembly whereas the act of expulsion was carried out by the 13th Assembly.